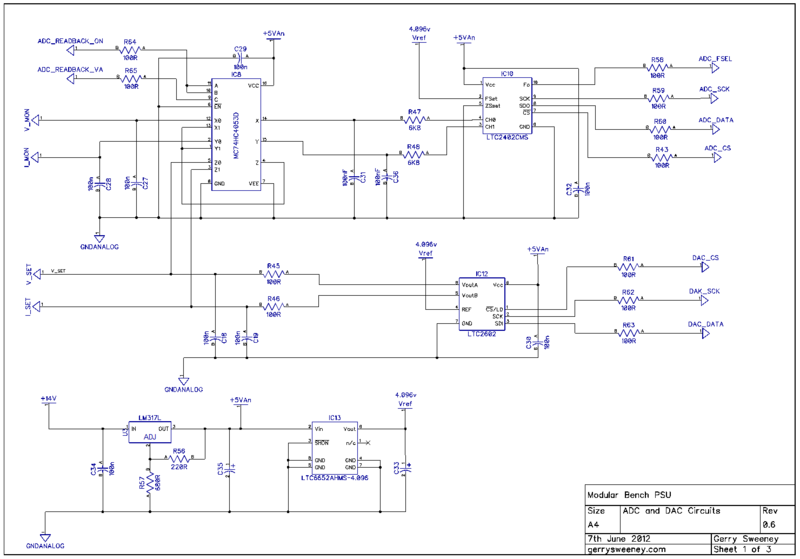 Following on from the project to build a DIY OCXO upgrade option for my HP/Agilent 53131A Frequency Counter I had a large number of requests for me to make the PCB’s available so others can built there own. 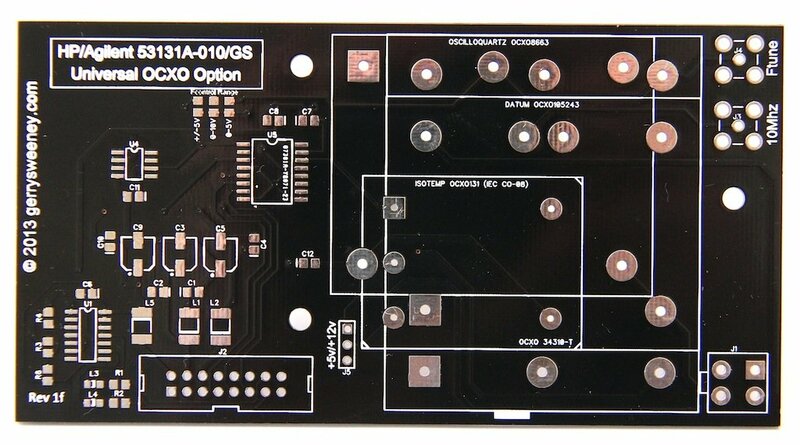 I now have some PCB’s and are making them available for sale. I will also be making some fully assembled and tested/verified boards including an OCXO, ready-made cable and mounting stand-off’s, there will only be a limited number of these so if you are interested, let me know, first come first serve and when they are gone they are gone. 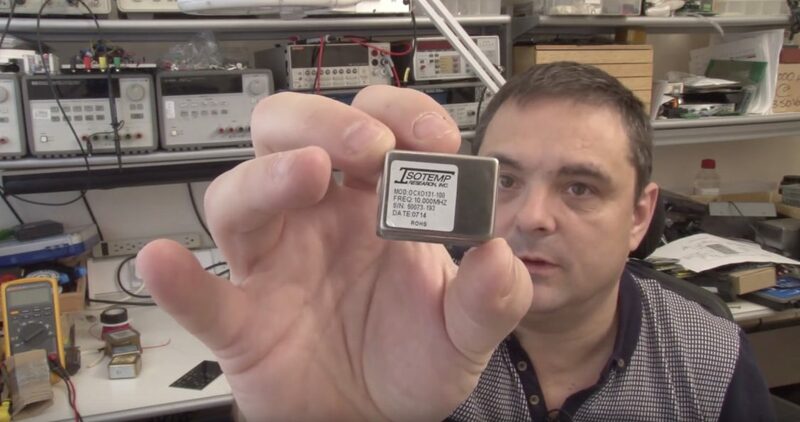 Now, someone made a comment on hackaday stating that the reason why these OCXO’s are on e-bay is because they are no good. Well I can understand why one could draw that conclusion but having now played with in access of 50 of these OCXO’s I can tell you that they all pretty much violently agree with each other and they also agree with the Rubidium Frequency Standard I have, so given they are from different sources and all free-running I am pretty comfortable they are good and usable quality devices. 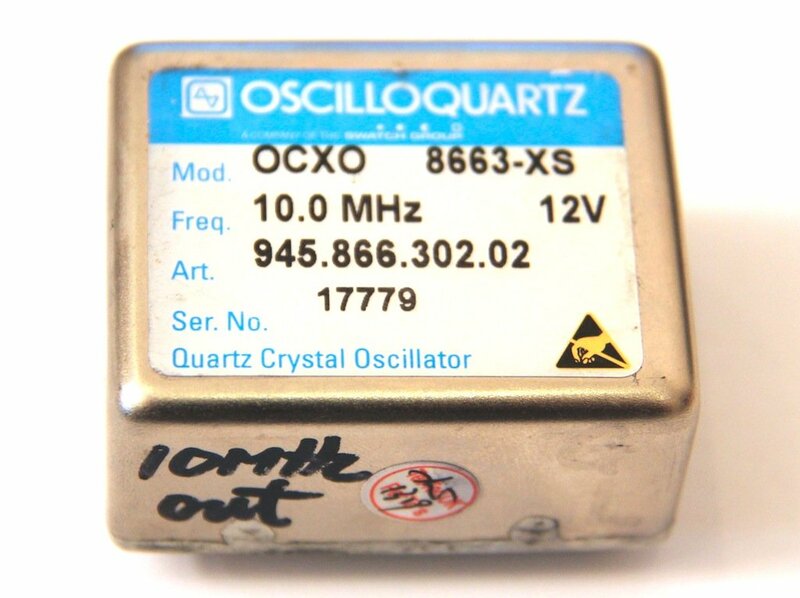 I read a lot on the net about “burn in time” and the general consensus seems to be, the longer you age and heat a crystal oscillator the more stable (in terms of drift) it becomes. Now I don’t know how true that is, but if it is true, then by definition, using recovered OCXO’s must actually be a good thing. Of course if you feel the need to pay a couple of hundred dollars for a new OCXO then you can of course do that – but I am pretty sure that it does NOT guarantee you any better performance, it just buys you the right to get compensated if you happen to find it does not meet the performance specifications quoted by the manufacturer and it might make you feel a little more confident. Anyway I guess the results speak for themselves and for a home lab these OCXO’s are more than good enough I think. Here is a short video showing the various configurations built and working as well as a quick overview of the PCB its self and the configuration options. This is the revision “1F” board. 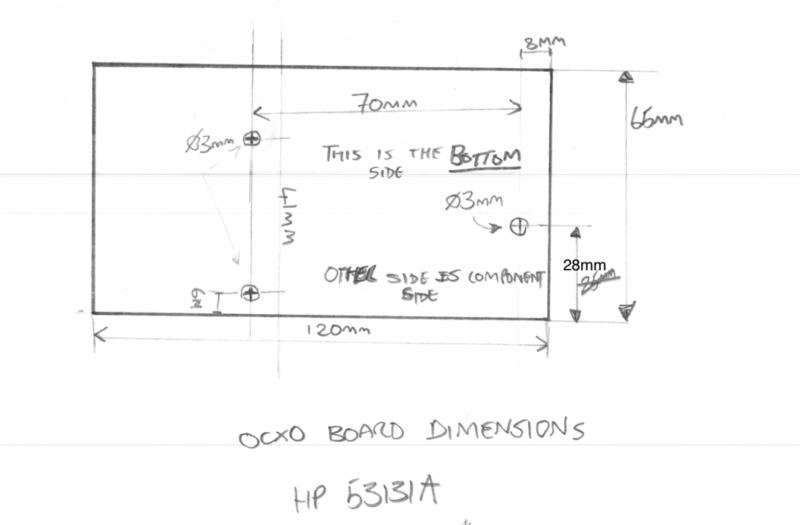 When I designed the board, I picked a few of the OCXO types that are available on the second-hand (salvaged) market and designed it to accommodate these. 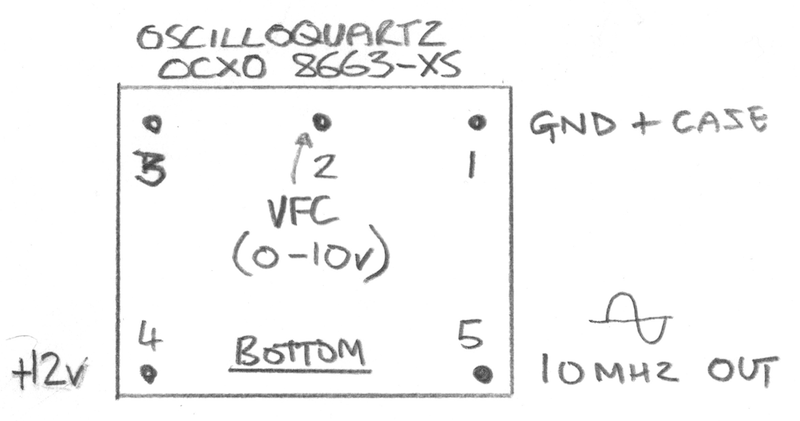 My original plan was to support four types of OCXO, the Oscilloquartz 8663-XS that I used in my own counter, a Datum 105243-002, and Isotemp OCXO-131 and a Trimble 34310-T(2). 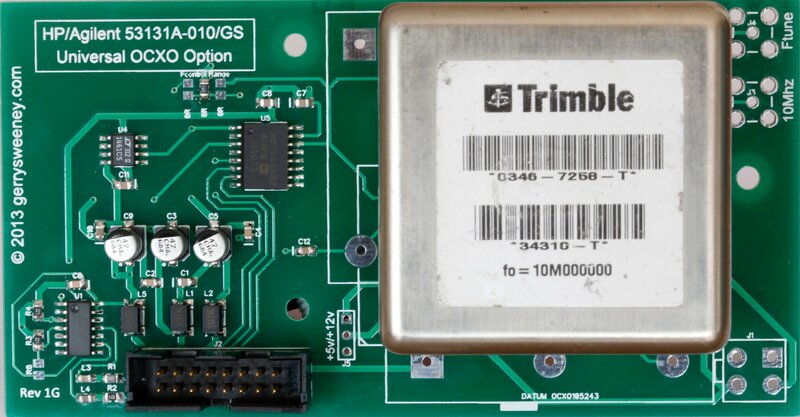 However, when I laid the board out I did not have the Trimble 34310-T(2) device to hand and made a (wrong) assumption about the footprint – which is a bad schoolboy error I know – the upshot being that while this board has a footprint and markings for the Trimble 34310-T(2) it does not fit, the pins are about 1mm out and therefore the board IS NOT suitable for that particular device. It is feasible to drill holes, the pads are just about big enough but assuming there is some demand for these boards I will order a second batch with the footprint corrected. This is the first OCXO I used, its more expensive than most and seems good quality and very precise. It works off of 12v and provides a nice clean sine wave output. The voltage control input works on the 0-10V range. I could not find any data on the XS version so I don’t know what its performance specifications are. I have included a download for this device but it does not cover the XS version specifically. 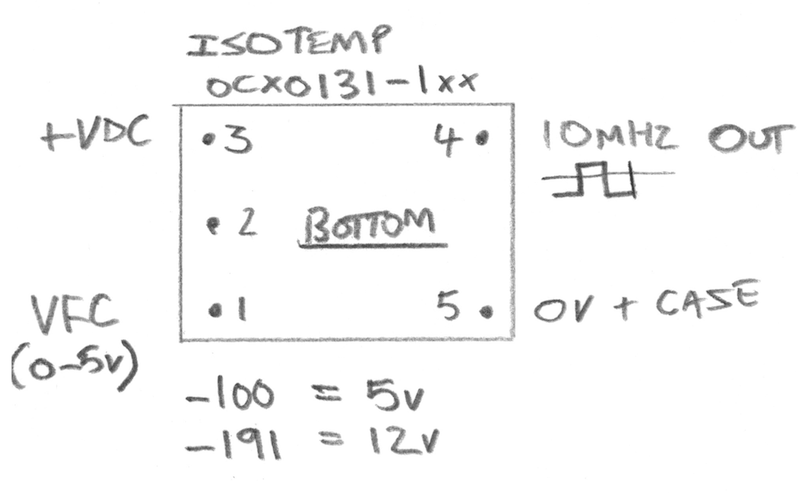 The data sheet states that this device requires 0-10v for the frequency control, and testing seems to bear this out too. 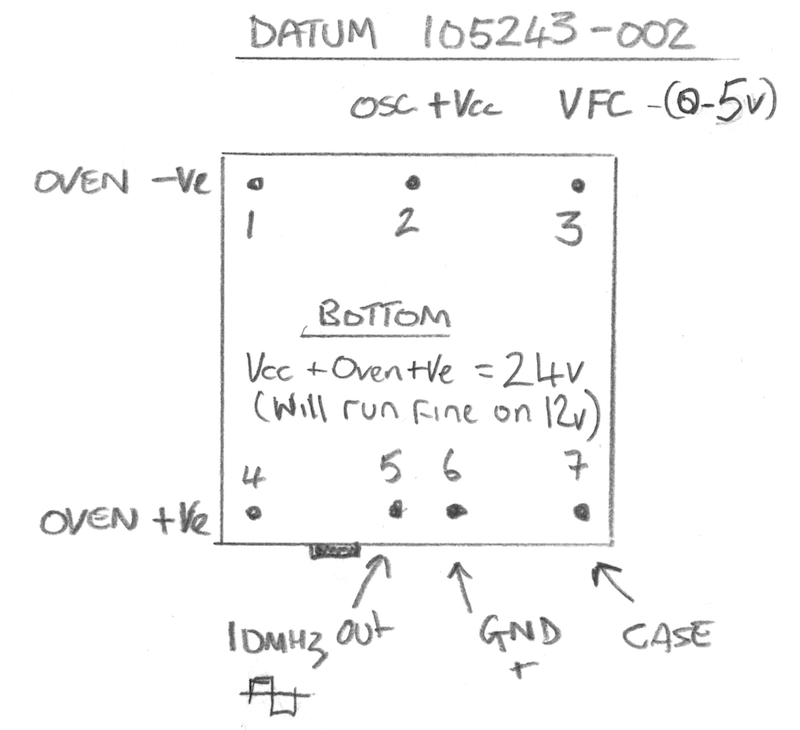 However, to get the counter to calibrate properly I selected the 0-5v range on the DAC. 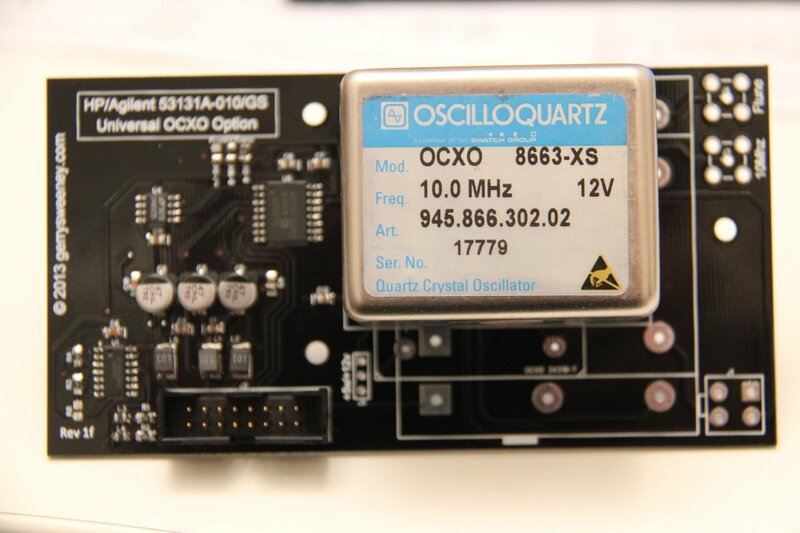 This was another OCXO that I included on the board for Andy (who built the first 3Ghz pre-scaller option board), again a nice device but its specified to work on 24V and the Oven and Oscillator have separate power connections. This is the only OCXO that has a built in trim pot which allows you to set the window for the voltage control range. Although this device is specified to run at 24V, I tested its operation at 12V and it works perfectly. I did put a four-pin plug onto the board to allow you to give it a separate 24V supply but it really does not need it. 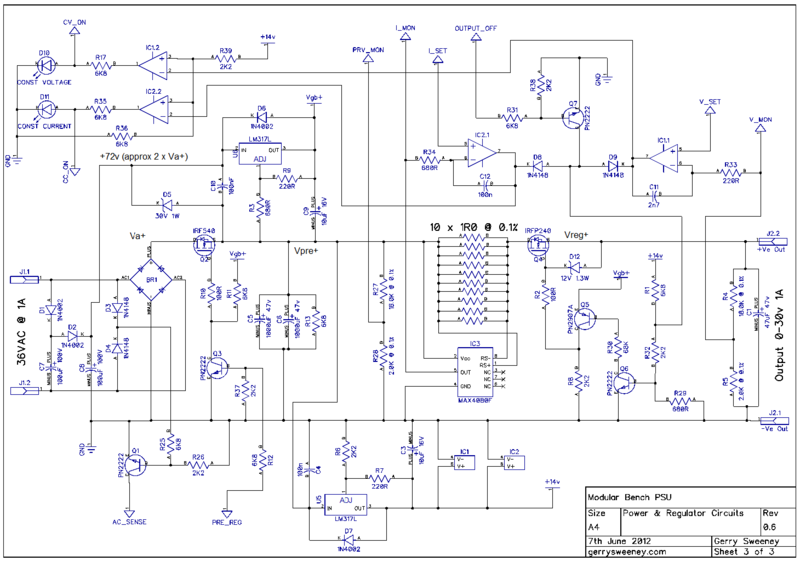 I do not have any data sheet for this device but it outputs a square wave which is not as nice as having a sine wave on the output – but for this application it does not matter at all. 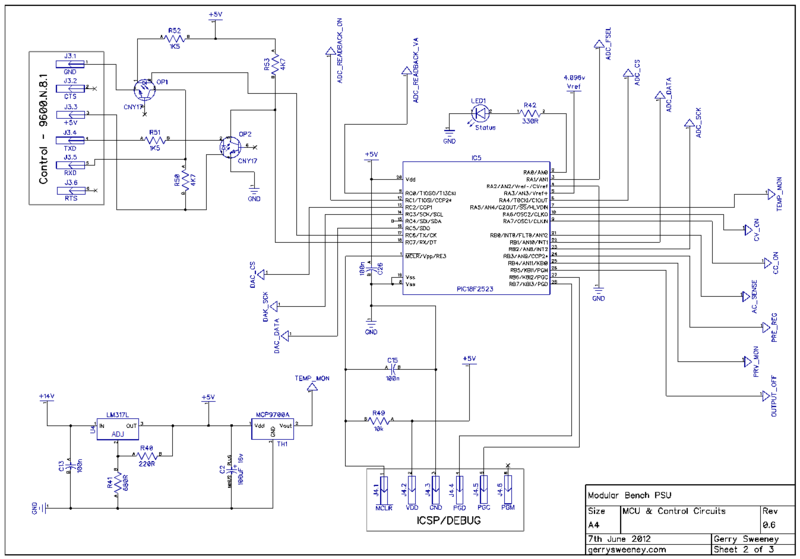 The Frequency control input on this device is very sensitive and while it works without problem at +/-10v its centred around 2V and 0-5v works just fine. 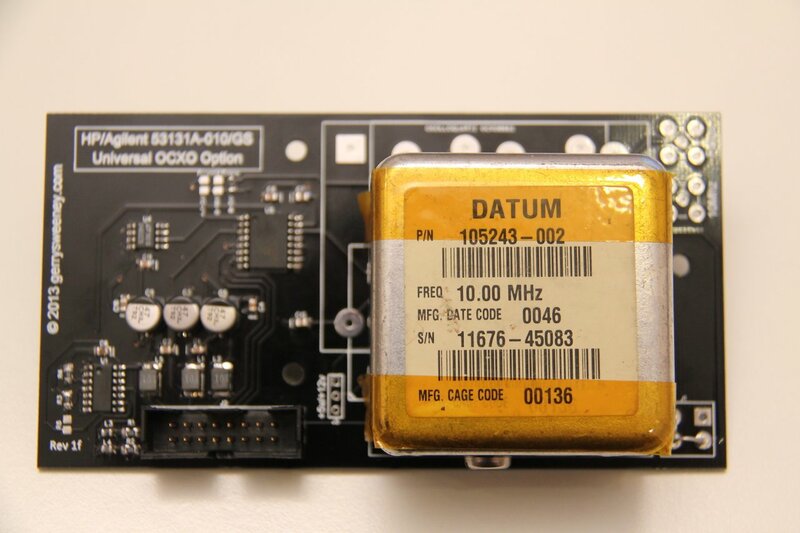 This is a small, compact device and comes in two variants, the OCXO131-191 which is a 12V version and the OCXO131-100 which is a 5V version, and while both share the same PCB footprint and pinouts the case for the 5v variant is taller at 18mm high where as the 12v version is a compact 11mm high. These also provide a square wave output. Both versions of the device require 0-5v on the frequency control input although to get the counter to properly calibrate I had to configure it for the +/-5V option. Some people asked me about providing a kit of parts. I am not really geared up to do that in a time-efficient way so apart from the bare PCB, I will not be able to provide individual parts or components. 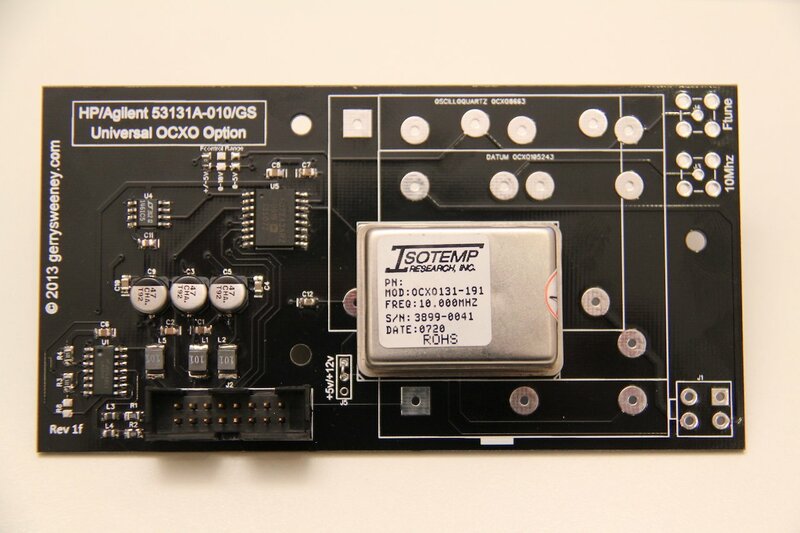 I am planning to have a limited number of these option boards fully built and tested with all the components and the OCXO pre-installed as well as a suitable cable and mounting stand-off’s, ready to install and use in your counter 531xx HP counter. I do not have an exact cost for these as I still have to source some of the components but they are likely to be be in the £75 to £95 range. I will post an update when I have these available which should be in about 2-3 weeks time. UPDATE: After my first trip to the post office today I have had to amend the pricing because of the outrageous postal charges, I have been told that I cannot send something that’s not made of paper as a letter! that means for my friends outside of the UK the postage is more expensive, sorry about that. The good news is, the postage does not go up with the number of boards. I hope you understand. For the sake of simplicity I have opted for a flat price of £10 each for single boards or £21 for two boards. (Two boards need to go as a large letter so I need to charge for postage). If you want more than two boards please contact me directly via e-mail because the weight starts to impact postage. Postage outside of the UK has to go as large letter. If you want more than two boards please contact me directly via e-mail. 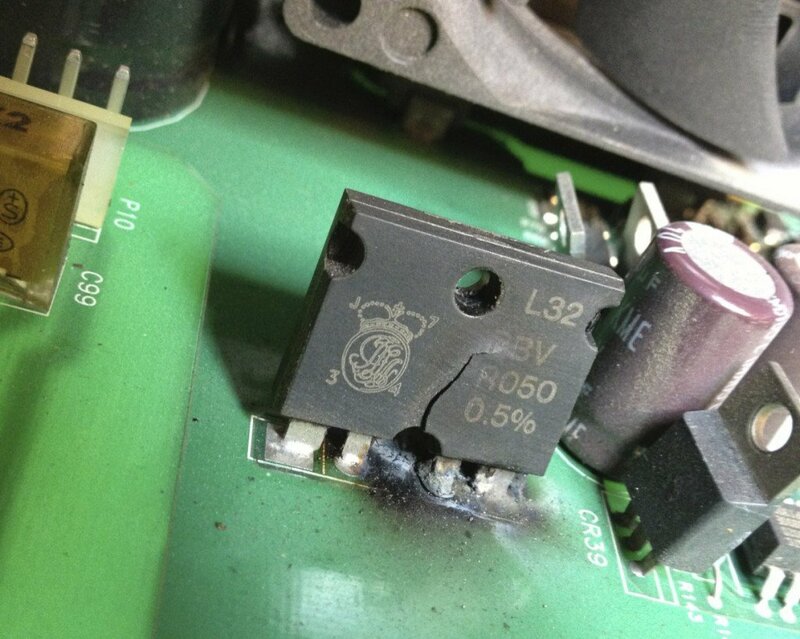 My E3634A Mystery Explosion – WTF! This is a short follow-up to a video where I was recently testing a Mayyuo M9711 DC Electronic Load (See Here) and I was using an Agilent E3634A Power Supply (which I previously fixed) as a power source. When I put the DC load into pulse mode within a few seconds the E3634A PSU exploded. What I heard was a loud pop, and a flash followed by a loud vibrating 50Hz hum, by which time I was able to reach the power switch and shut it down. 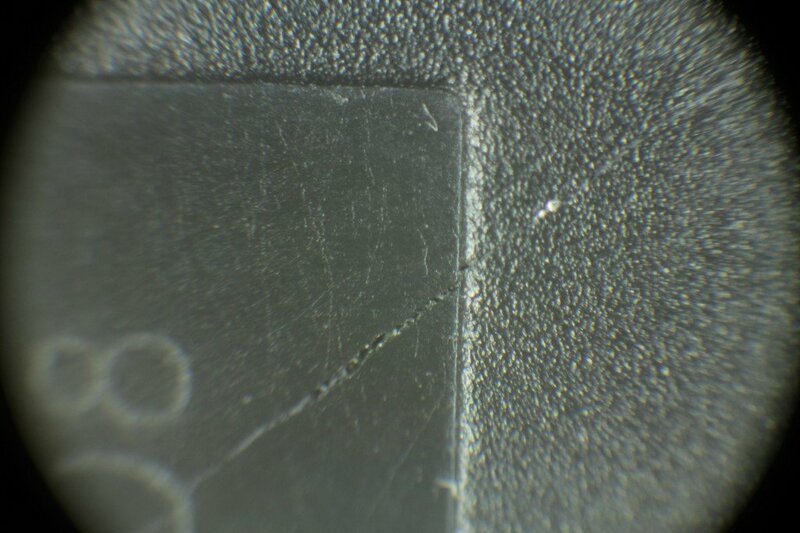 I switched to another supply and continued with the test of the M9711 but today I thought I would open up (once agin) the E3634A and see what damage was done and what I found is a real mystery! Did I imagine it all? Was there beer involved? Who knows, its a mystery! 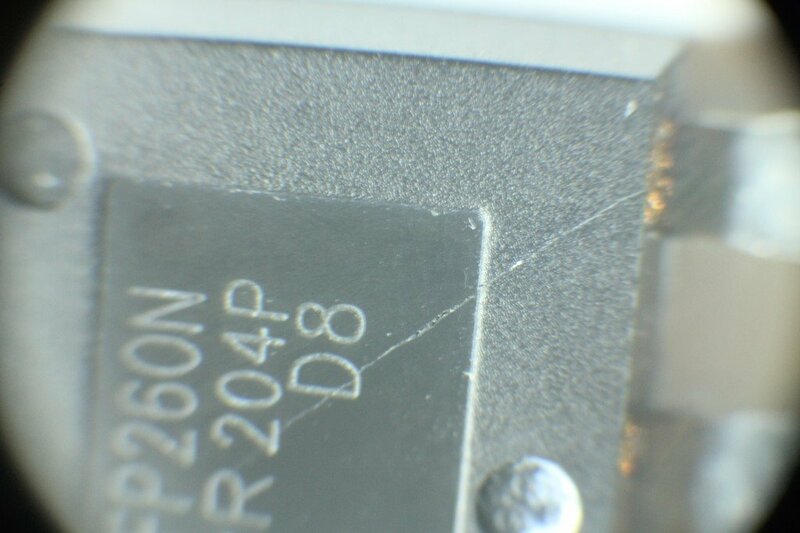 While tidying up I thought i would have a look at the two power MOSFET’s that failed and found the IRFP260 has a very small but visible smoke vent! I have added the photo’s below, I had to take these under the microscope x10 and x30 to see it. With the naked eye it looks like a light scratch. So I present the third in what is starting to feel like a long line of Agilent PSU repairs, but before you read on you should know that I have now depleted my collection of broken Agilent E36xx series power supplies so I will need to find another subject to blog about next time! 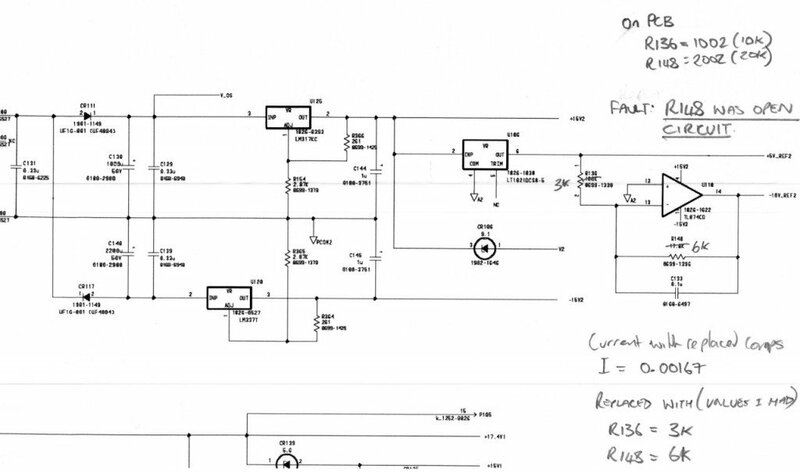 That being said, even though I have blogged about two other PSU;s from the same family, I thought it would be worth videoing the repair exercise and at the same time try to demonstrate how I go about identifying and resolving a fault on this kind of circuit. The E3646A is a different model to the other two PSU’s I have repaired and blogged about – this one is a dual output 0-8v @ 5A / 0-20V @ 2.5A for each channel and the internals are different so I hope this will be of some use for anyone who may need to repair one of these. I hope you find this useful or interesting. If you do please give the video a thumbs up and if you have any comments or suggestions please post them here and I will do my best to answer them. Thanks for watching and catch you next time. 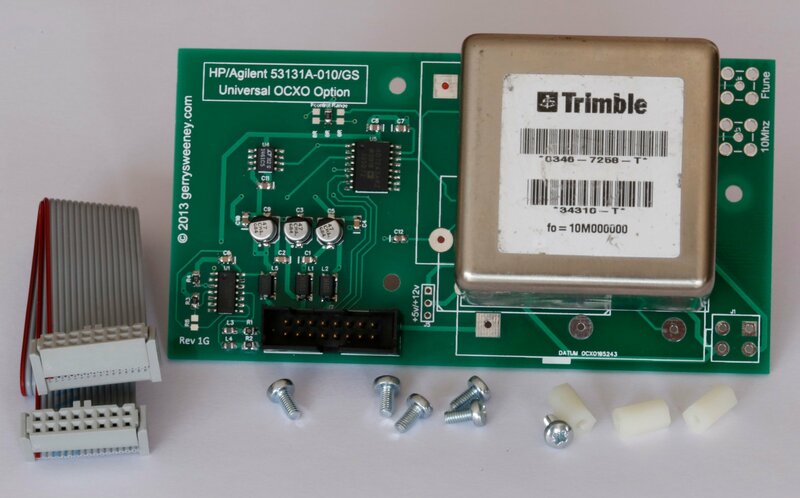 Over a year ago now I repaired a HP/Agilent E3631A triple output PSU and have been using it very often ever since. Recently I bought an Agilent E3634A PSU which is a single output but high power supply, I bought it in non-working condition for not very much money (about $90). It turned out to be a non-trivial task, with physically burned out components and a difficult to track down and understand secondary problem. The components to repair the supply cost less that $20 and the repair exercise was challenging and educational so well worth the effort. I decided that for this repair I would try doing a video teardown and repair which I have not done before. The repair took quite a few hours in the end, although I carried out the repair over about 4 weeks elapsed. 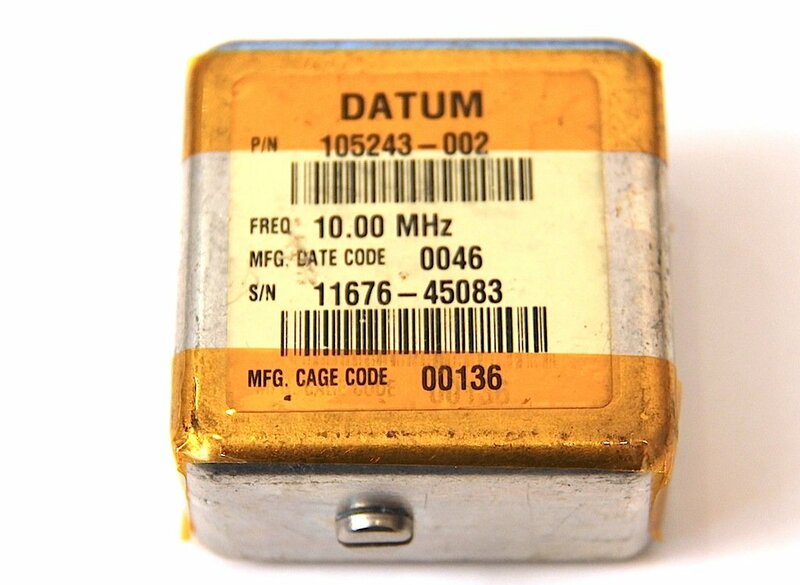 This is a really useful addition to my work bench, the high power nature of this supply makes it very useful for working in low voltage systems like audio amplifiers communications equipment and automotive applications that have high power requirements. 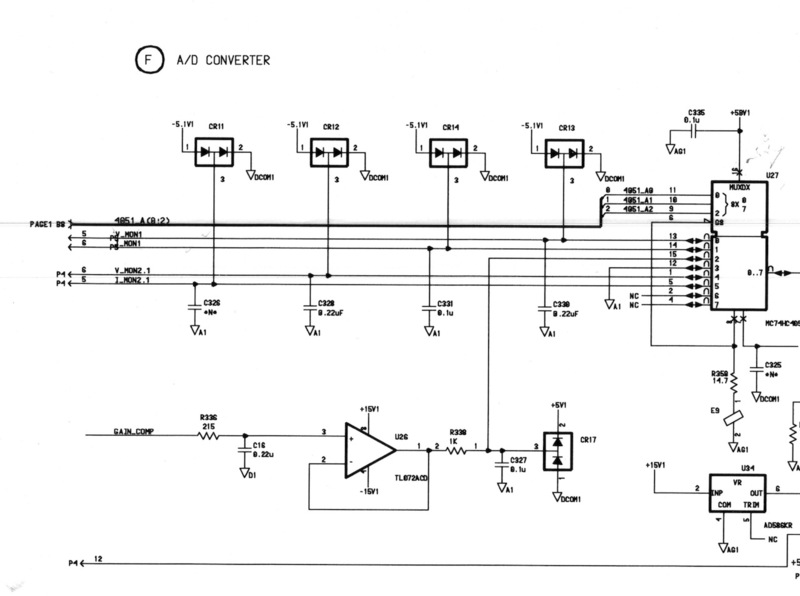 The Agilent E3634A Service Manual with schematics is available on the internet for download, I have provided a link here for convenience. And here is a video demonstration of programming, measuring and the achieved resolution. I focused some more on noise measurements and found that modulating the output of the 16-bit DAC created no detectable ripple – at least with the test equipment that I have. In fact the noise I am measuring swamps any ripple that is being created now. 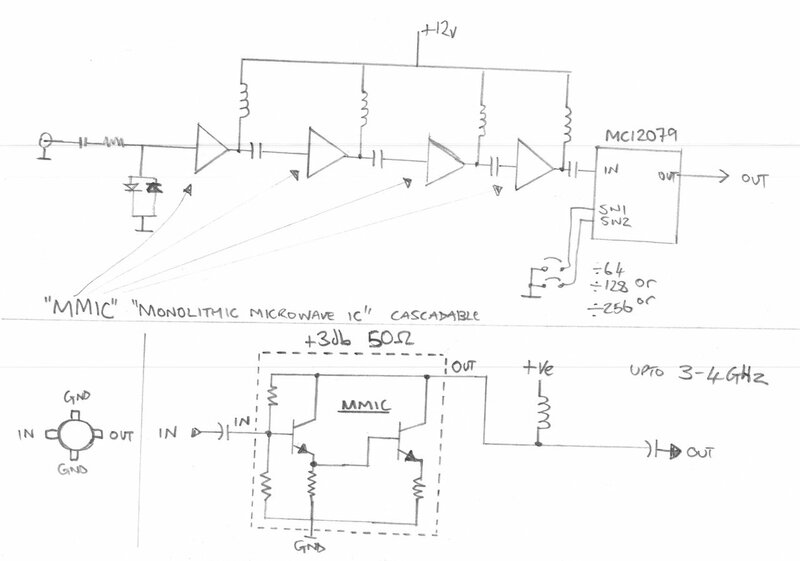 Interestingly, the digital signals from the micro controller driving the DAC (the SPI bus) is now creating more noise than the ripple effect of switching between two adjacent codes. Because the digital switching does impose some noise, there is a compromise to be had – you can get higher resolution but suffer some additional noise. For low-noise applications you can forego the additional resolution and get better signal to noise performance. Thankfully this can be controlled entirely in software so can be easily made a programmable option which is what I will do. 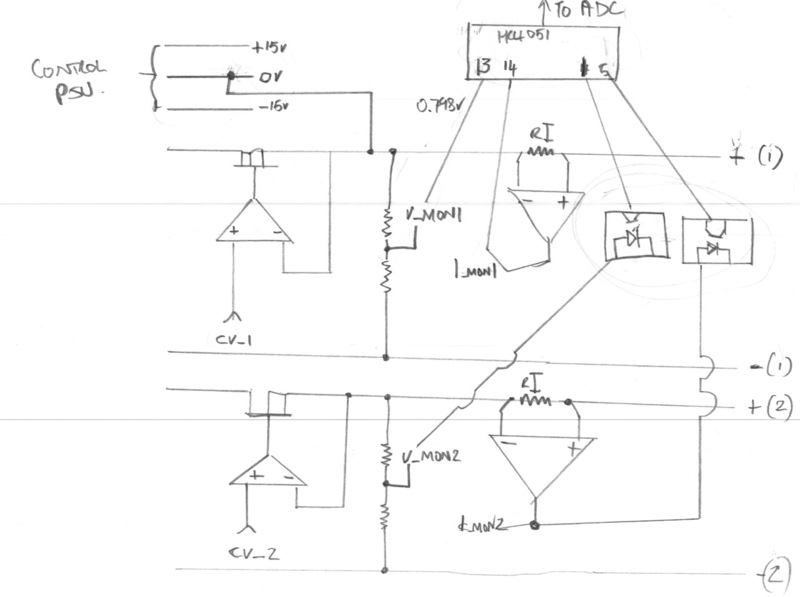 Of course this is just the control circuitry, I have no idea how the noise or accuracy will be represented through the linear regulator part of the design in practice – we shall see. I have broken the schematic into several pages to make it easer to read. I am happy that the control circuitry and the firmware is now good enough for a Version 1 baseline – this is what we have now. I have increased each range to show the possible extent of each gain option. 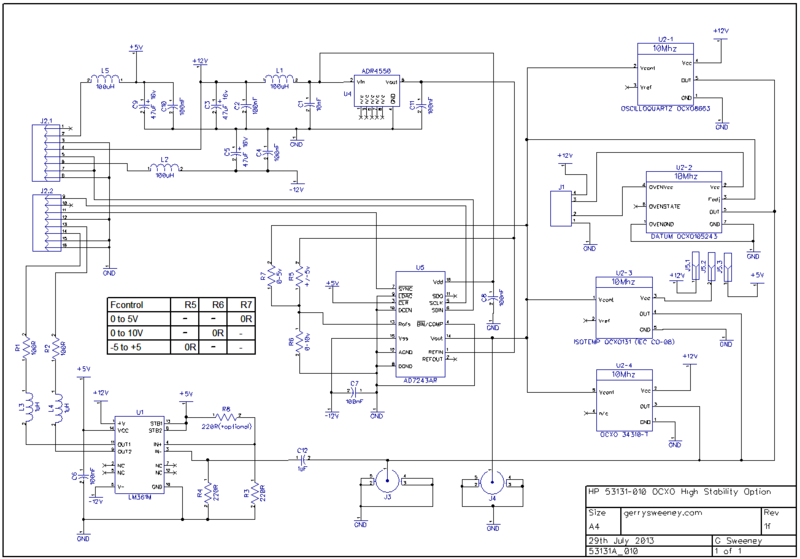 In the final design the power and voltage ranges required and programmed in the UI/front panel will dictate the actual upper limits of each range, but this table shows the extent of what is possible.